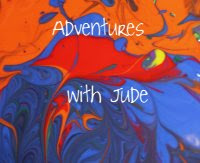 Adventures with Jude: L'Shana Tovah! We are doing a "Holiday Cooking" theme for our reading unit this week. 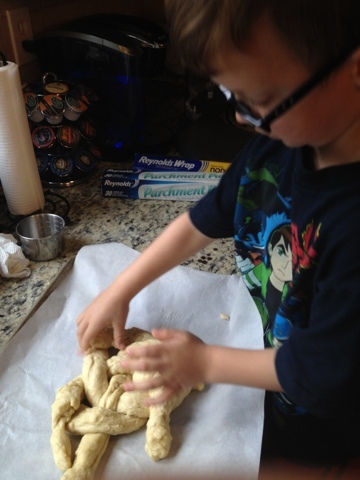 Today marks the end of Rosh Hashanah (the Jewish New Year) so we are reading Sammy Spider's First Rosh Hashanah and making challah bread. 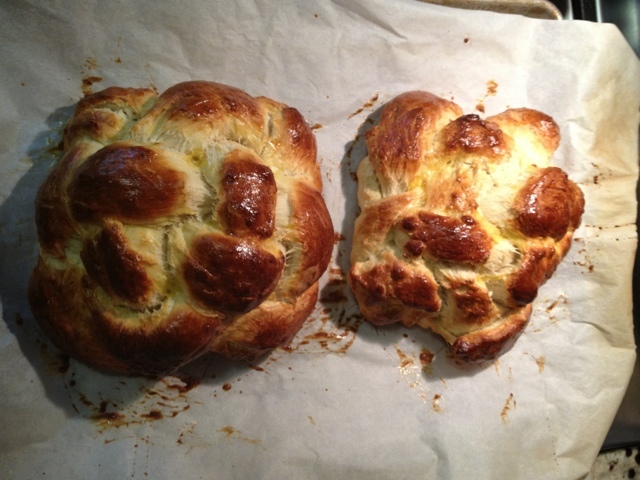 We used our friend Ahuva's challah recipe. Ahuva has children ranging from almost 16 years to 16 mos (and like us, only one girl!) so I think she knows a thing or two about cooking! 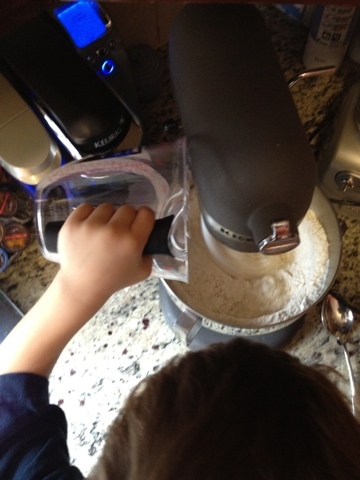 Pour into the dough. Mix in mixer on medium speed for 10 minutes. Cover with plastic wrap and set aside until doubled. Punch down and let it rise again until doubled. 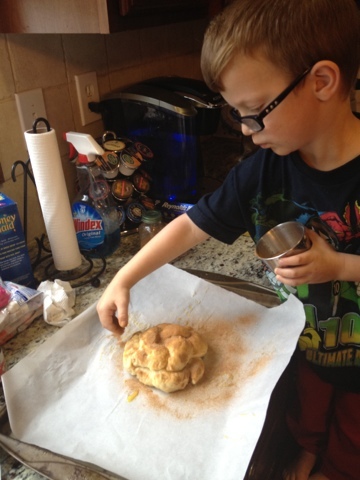 Ok, we used aluminum foil. We were out of plastic wrap. 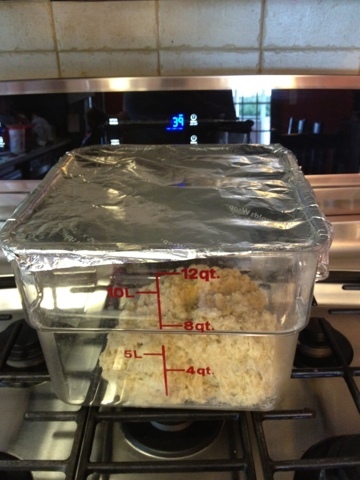 The important thing is to use something that seals the container well, to help hold in moisture. 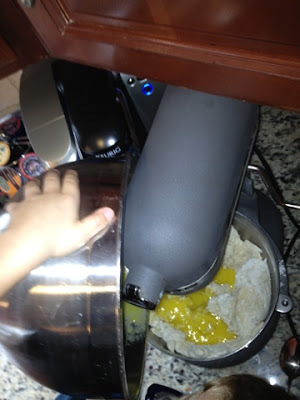 We also put a little oil in the bottom of the container so the dough would stick less. Divide in thirds. 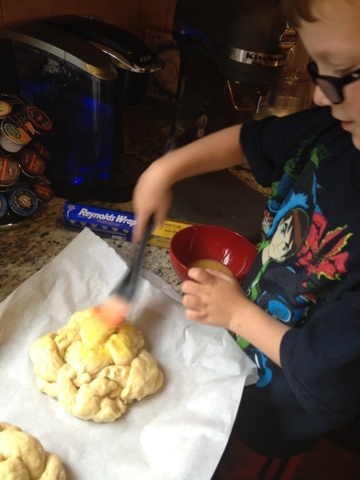 Braid* and cover to rise for about 15-20 minutes. 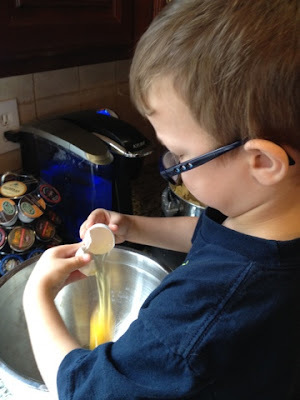 Brush with beaten egg and top with sesame seeds if desired. Bake at 180' C (350' F) for 30-35 minutes. 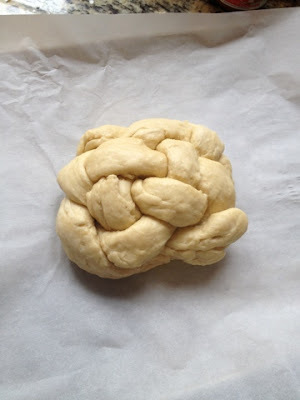 *For Shabbat challah, the traditional shape is a long, six-strand braid. 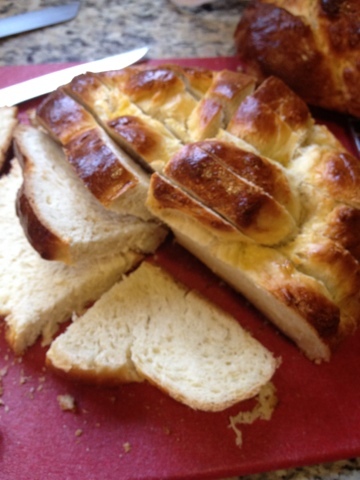 Rosh Hashanah challah is traditionally made into round/spiral shape to emphasize the circular nature of life. We followed the "Weaving Round Challah" tutorial, found at Chabad.org. 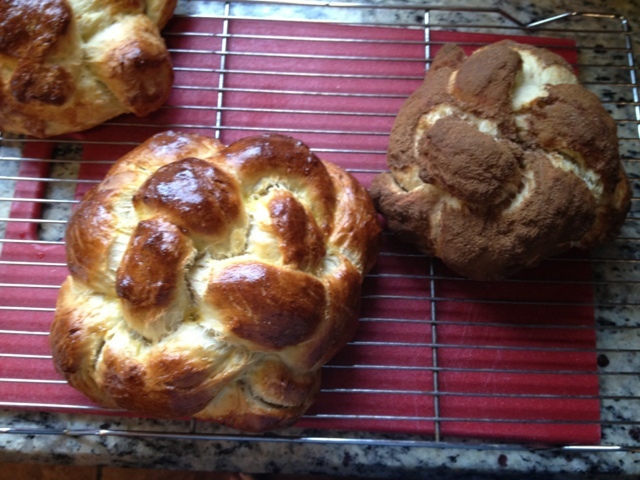 We made two plain Challah and one with cinnamon sugar. The house smells delicious! While we waited for the dough to rise, we read our story. Sammy is an adorable little spider who doesn't really celebrate the holiday in the same way as his "host" family, the Shapiros, but is anxious to learn about what and why the Shapiros are doing. 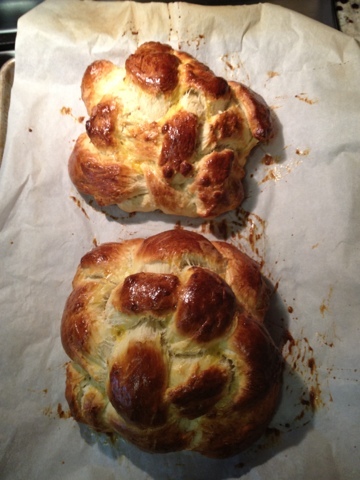 Thanks to all of my Jewish friends for their recipe and story recommendations! 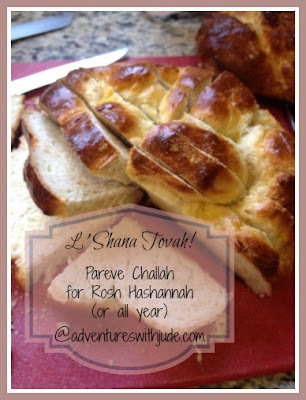 L'shana Tovah Tikatevu to each of you! Yummy!! I will have to try this for sure!! Thanks for sharing this recipe over at WholeHearted Home this past week.